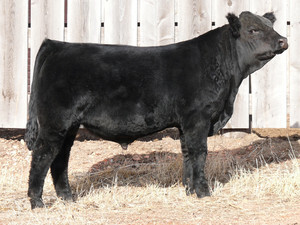 WYNDHAM is a well-balanced herdsire prospect sired by MAC TOPEKA 159T, the top selling bull of the Salers breed in 2008. Like his sire, WYNDHAM balances an attractive phenotype and flawless structure with lots of thickness and muscle shape down his top and extra capacity through his midsection. His dam is a great-milking first calf daughter of NAVIGATOR who is a full sister to a Salers Supreme 2006 consignment now in the herd of Tom Larsen of Kearney, NE. With his balanced EPD’s, performance and phenotype, WYNDHAM has the potential to follow in the footsteps of his sire as a breed-impacting herdsire. 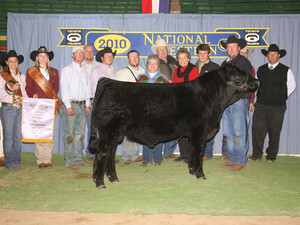 WYNDHAM has been named the 2010 Reserve National Champion Bull.